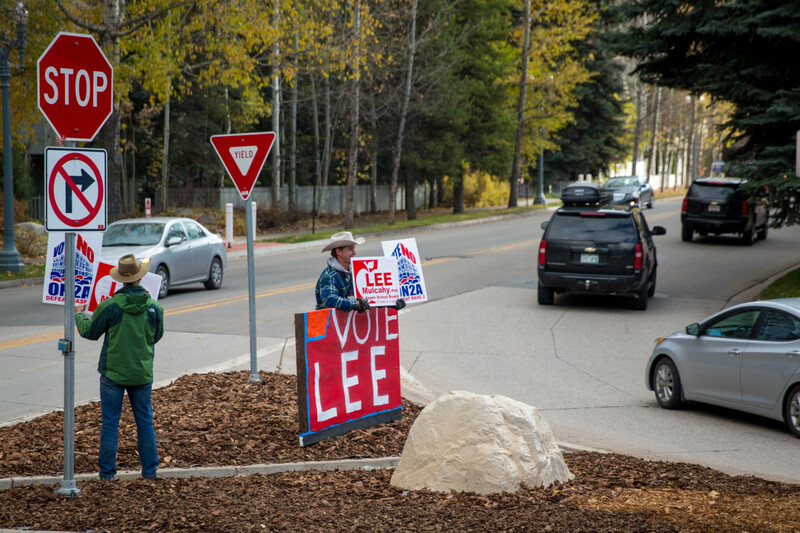 School-board candidate Lee Mulcahy, shown here campaigning Oct. 30, didn't win a seat on the Aspen board of education. But he and his fellow candidates supported ballot issue 3A, which passed by a two-to-one margin. Voters on Nov. 3 overwhelmingly approved a tax increase that will deliver an extra $991,000 per year to the Aspen School District and returned two incumbent school board members to office. Aspen School District ballot issue 3A asked voters to raise their property taxes to the maximum level allowed by the state of Colorado, 25 percent of the district’s total program. In keeping with their past support for the district, voters supported the measure by more than a two-thirds margin, 3,119 to 1,421, in unofficial results. Passing 3A is one element of a three-pronged funding strategy that the school board and district administration have devised to make up the funding shortfall. The next piece will be to ask voters to renew a 0.3 percent city of Aspen sales tax in November 2016. Additionally, the district hopes to secure some kind of financial contribution from Snowmass Village, where 20 percent of the district’s students reside. To put the $991,000 in perspective, the district’s annual operating budget is roughly $23.6 million, according to Kate Fuentes, the district’s chief financial officer. When combined with the district’s existing mill-levy overrides, the new money will bring total local property tax collections up to $5.6 million per year for annual operating costs. (Other local property taxes go toward capital construction costs.) The 3A ballot language states that the district will use the new money to avoid or reduce teacher layoffs, avoid increased class sizes, attract and retain high-quality teachers and maintain community-valued programs. Sandra Peirce, the current school board president, was elated to see Tuesday night’s results. “I’m just so happy that this community always seems to step up for our kids,” she said. 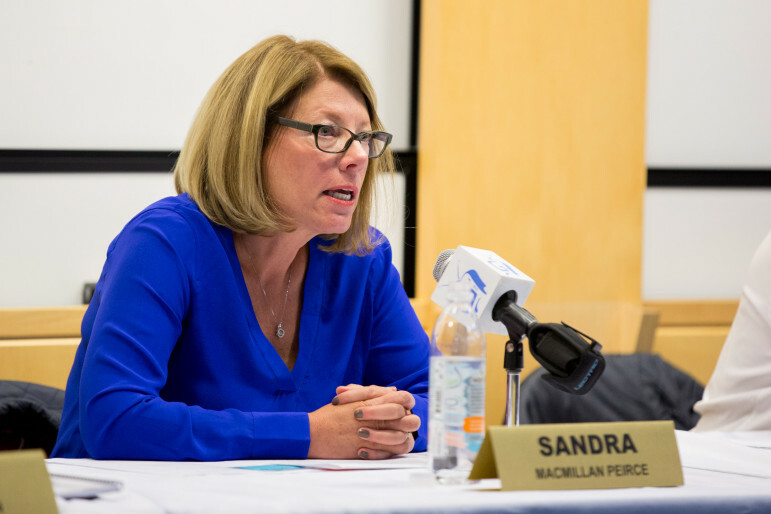 School board president Sandra Peirce won a second term on Nov. 3. Voters also stepped up for Peirce herself. She was the top vote-getter among five candidates for the Board of Education, with 1,817 votes in unofficial results. Her fellow board member Sheila Wills was close behind with 1,654 votes. A total of 6,412 votes were cast. Both candidates won new four-year terms. The third-place finisher in the school board race was Margeaux Johansson, a parent with three kids in the Aspen schools, with 1,027 votes. Mary Houchin, a retired schoolteacher of 30 years, received 989 votes. Lee Mulcahy, a former ski instructor who became a minor celebrity through his public battles with Aspen Skiing Co., was slightly behind the two other candidates with 925 votes. Aspen Journalism and The Aspen Times are collaborating on education coverage. The Times published this story on Nov. 4, 2015.